Chris’ super healthy, fit sister, Charity, finally convinced us to do the Advocare 24-Day Challenge. Basically, that means no sugar or carbs, except for in the morning (most days). Those of you who know me can imagine how real the struggle was. I even had to ask Chris to take a bunch of my candy away and hide it until the challenge was over… I have no self control. In a medium bowl, whisk together honey, vanilla, pumpkin, and apple sauce until evenly mixed. Add wet ingredients to dry ingredients and stir until evenly coated. 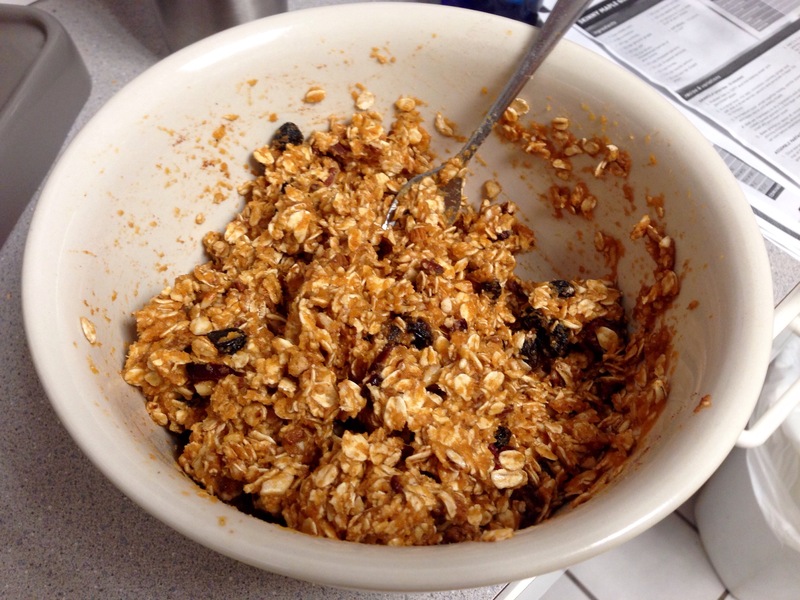 Spread the granola in a thin layer over the baking sheet. Bake it for about 40 minutes, or until golden brown, moving it around occasionally while baking.